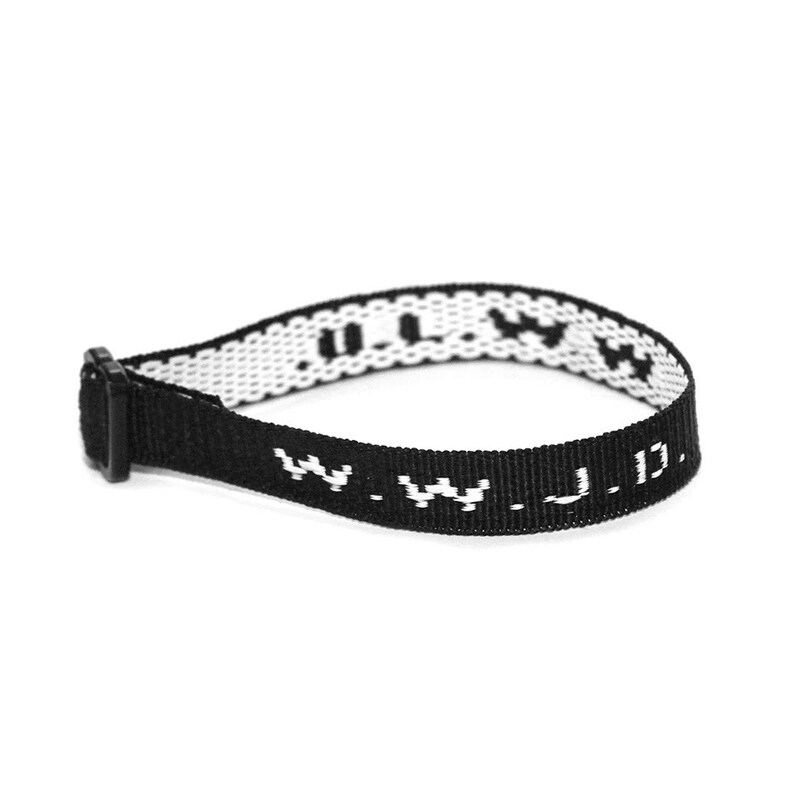 We all know about the WWJD gear. Those bracelets, of course. The t-shirts. The coffee mugs. The hippy Jesus doll. The hot air balloon. I’ll admit, I’ve always had mixed feelings about the whole WWJD thing. So often “What Jesus would do” turns out to be “What I would want to do in the first place,” or “What my particular Christian subculture has conditioned me to think Jesus would do.” WWJD has been invoked to vote a certain way or support a certain cause—often in direct opposition to the actual teachings and example of Jesus. All this has made me rather cynical about WWJD. 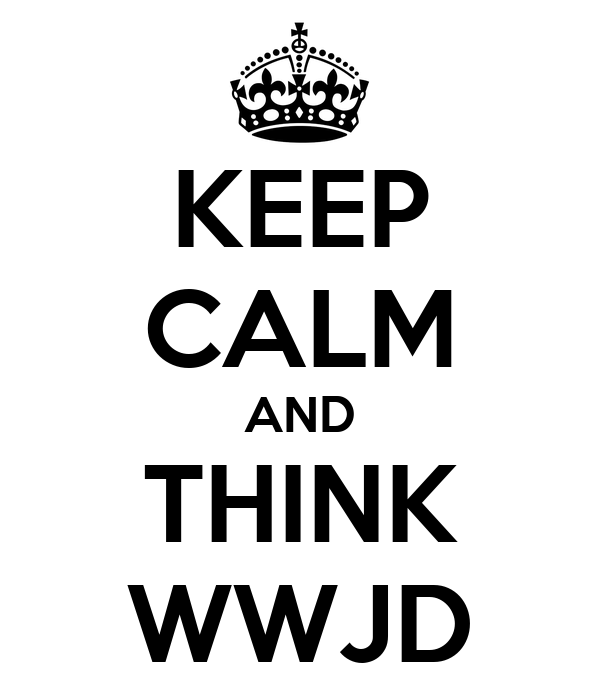 But when I take a step back from my cynicism, I have to admit that “What would Jesus do?” is a good question to ask. It’s a simple way to guide Christians in making practical, ethical, day-to-day decisions. Even more, the more I read my New Testament, I have to admit that WWJD is exactly the right question for Christians to ask. The New Testament in various ways calls on Christians to be as Jesus in the world. We are to be Jesus’ “disciples” or apprentices, “following” Jesus in his way. We are to look to Jesus as our example, we are to think and act the way he does. As a church we are the “body of Christ” in the world: Jesus’ eyes and ears, his mouth, his hands and feet, with Jesus guiding and sustaining us as the body’s head. The whole goal of God’s work in us and among us, Paul says, is to shape us into the image of Jesus, moulded to his character, continuing his calling. It’s pretty straightforward. Live like Jesus. Be as Jesus in the world. But if we want to answer that question well, we need to realize that it has several other questions built into it. Before we get to the big question, “What would Jesus do?” we need to first answer at least three other questions. There’s this one for starters: “What did Jesus do?” Assuming Jesus’ words and actions are consistent (here my ProoftextomaticTM pops up Heb 13:8), it strikes me as pretty important to know what Jesus has said and done if we want to know what Jesus might say and do. And, of course, Jesus said and did many things. He told stories of God’s kingdom, God’s vision for a just and peaceful world, an upside down realm where the last are first and the least are feasted and the lost are found. He taught that the most important thing, the all-encompassing command of God, was selfless love: giving oneself in allegiance to God above all other allegiances, giving oneself in compassion for the good of others, both neighbours and enemies. He freely healed the sick, brought freedom for the oppressed, and life to the dead. He openly ate with sinners and outcasts, rich and poor alike. He boldly rebuked the powers that be, and then walked through suffering and pain to a Roman cross, exposing those oppressive powers for the emptiness and inhumanity of their unjust, even violent, even death-dealing ways. How well do we know these Gospel stories? How much do we actually read them, study them, reflect on them, imagine ourselves into them? Here’s a second question: “Why did Jesus do?” If we want to discern what Jesus might do in a twenty-first century situation the first-century Gospels could never have imagined, we have to try to get behind Jesus’ words and deeds to his underlying motivations. What drove Jesus to speak? What compelled him to act? Did he have an overarching sense of purpose? What sorts of specific reasons prompted his particular actions? This is a trickier question than the first one, since the Gospel authors don’t speak much about Jesus’ inward thoughts and feelings. But one motivation comes up more than any other: love. Jesus did what he did out of love. He did what he did out of a sense of sympathy for the plight of others, a sense of compassion for others, to see them healthy and whole in a just and peaceful world. Then there’s this third question: “How did Jesus do?” This one’s a two-parter, looking at both ways and means. In what way did Jesus do the things he did? What was his demeanor, his disposition throughout? Again, a tricky question to answer since we don’t get a lot of insight about Jesus’ inner thoughts from the Gospels. But here’s a suggestion: You know all those virtue lists in the New Testament, like the “fruit of the Spirit” or the “love chapter”? We can think of these as descriptions of Jesus, whose Spirit shapes us into his image, whose example of love lies behind these descriptions of love. This, then, is the way of Jesus, his demeanor: loving, joyful, peaceable, patient, kind, generous, faithful, gentle, self-controlled. This, then, is the way of Jesus, his fundamental disposition: trusting in God in faith, looking to God in hope, following God in love—and the greatest of these is love. And with what means did Jesus do the things he did? For Jesus, did the ends justify the means, or were only certain means compatible with the kingdom of God? Here the Gospels are pretty clear: for Jesus, the ends did not justify the means. He was not willing to do anything to see God’s kingdom come on earth—that’s what the three temptations were all about, what Gethsemane was all about. Jesus rejected evil as a means to bring about good. He rejected violence as a means to bring about justice. He insisted that only love could conquer hate, that only light could dispel darkness. He was willing to die, but not to kill. We are not called to simply repeat what Jesus said and did. Jesus lived in a very different time and place than we do. But this is why these other questions are so important. They can help us to “live as Jesus lived” in our own time and place, motivated by the reasons that motivated him, compelled by the purpose that compelled him, showing his character, following his ways, putting into practice his teachings, living as Jesus lived—doing WJWD. This entry was posted in Michael Pahl and tagged ethics, jesus, wwjd. Bookmark the permalink.